Marie Laveau was a skilled Voodoo priestess who led a huge coven of worshippers and used her magical abilities to amass great wealth and power. She was a charlatan whose primary expertise was in the arts of blackmail, pandering, and showmanship. She was a symbol of feminine power and triumph over the forces of racism and sexism--or a con artist preying on the vulnerable. There are innumerable myths about Marie Laveau; her story has been reinterpreted by various sources to support their cause or sell their products. Finding the facts about her life is considerably more challenging. If we are to learn more about the Crescent City’s most famous native, we will need to deconstruct the legends to get at the kernels of truth contained therein. On July 2, 1850, Marie Laveau and another free woman of color, Rosine Dominique, filed a complaint before Recorder John Seuzenau seeking the return of a statue that had been confiscated during a June 27 raid on an illegal Voodoo gathering. This is the first mention of Laveau in connection with Voodoo. In the summer of 1859 Marie Laveau’s name appeared in the local newspapers. The Crescent unflatteringly referred to her as “the notorious hag who reigns over the ignorant and superstitious as the Queen of the Voodoos.” They went on to report that her neighbor had complained that Laveau and her followers were “disturbing his peace and that of the neighborhood with their fighting and obscenity and infernal signing and yelling” during their “hellish observance of the mysterious rites of Voudou.” No record exists as to the disposition of this complaint. It could be that Laveau used her Voodoo skills to woo the judge, or she may have made out-of-court arrangements with her neighbor to keep the noise down after dark. What we can surmise from these reports is that she was by this time holding ceremonies in her home and was recognized (by some journalists, at least) as a Voodoo queen. In her later years Laveau became increasingly frail and was unable to attend many public functions. Laveau remained a figure of legend and terror in her neighborhood, with children running from the once-beautiful woman who now resembled classic portrayals of the “wicked witch.” In the summer of 1881 Marie Laveau died. Writer Lafcadio Hearn penned a glowing eulogy for her. Although he had little sympathy for Voodoo, referring to it as “impious ceremonies of worshipping the prince of evil,” he called Laveau “one of the kindest women who ever lived” and suggested she had been called a Voodoo Queen only because of her skill in herbal medicines. Laveau’s death did not end her fame or her notoriety. Her relative poverty at the time of her death was explained by claims that she had given away all her money to the poor. Legends and half-truths were repeated as facts, then repeated again. A widow who supported her extended family through Voodoo became one of the wealthiest and most feared citizens of New Orleans and founder of a dynasty that lasted through generations. And her grave became a site where many pilgrims came to offer their respects and to seek her otherworldly assistance. Visitors seeking the favor of the Voodoo queen have long left small gifts at her tomb. Coins, Mardi Gras beads, flowers, rum, and candles are often left at the site. Today it has become customary to draw three Xs on the tomb while making a wish. This is generally done using a piece of crumbling brick, although some use charcoal and others use permanent markers or other graffiti tools. Along with the inevitable Xs, the Glapion tomb is now decorated with hearts, pentagrams, poetry, and initials. Sextons regularly clean the crypt, but to no avail: the Laveau legend has ensured that as fast as old markings are removed, new ones take their place. But while popular, this tradition is scorned by Voodoo practitioners as destructive and disrespectful. Many of the people making these brick Xs use chunks of brick they have pulled from other tombs, and many of the monuments around the Glapion crypt have sustained considerable damage from the demands of well-meaning wishmakers. There is a long tradition that those who desecrate a gravesite can incur the wrath of the deceased spirit. Many New Orleans locals say that those who anger Marie Laveau will be haunted by the ghost of Li Grand Zombi, who was buried with her and who still protects his beloved mistress. Grand Zombi’s zombie has been described as a massive coal-black snake who slithers between the tombs. 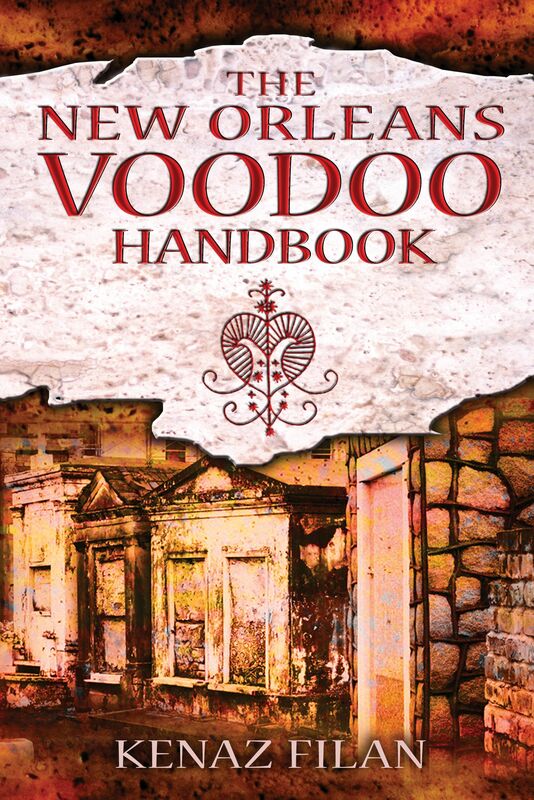 Irreverent tourists who disrespected Laveau’s tomb have reportedly awakened to find Grand Zombi beside them. Others have reported seeing a massive black cat with fiery eyes, or even the ghost of Marie Laveau herself, wandering through the cemetery in her finery and trademark red turban and muttering curses at evildoers. And if that isn’t enough to keep you away from the nearby bricks, you may want to avoid the New Orleans police department. Marking graves or otherwise desecrating cemeteries can land you a stiff fine or a stay in one of the city’s infamous jails. Don’t take the chance. This is one tradition that deserves a decent burial.